ost know SXSW for its music and film offerings, but 2018 marked the 11th year of the adjacent comedy festival, which has grown from a single night to nearly an entire week of stand-up, sketch comedy, and podcasts. In addition to bigger names in stand up like Nick Offerman and Jim Gaffigan, the week also highlighted the best that indie comedy has to offer. 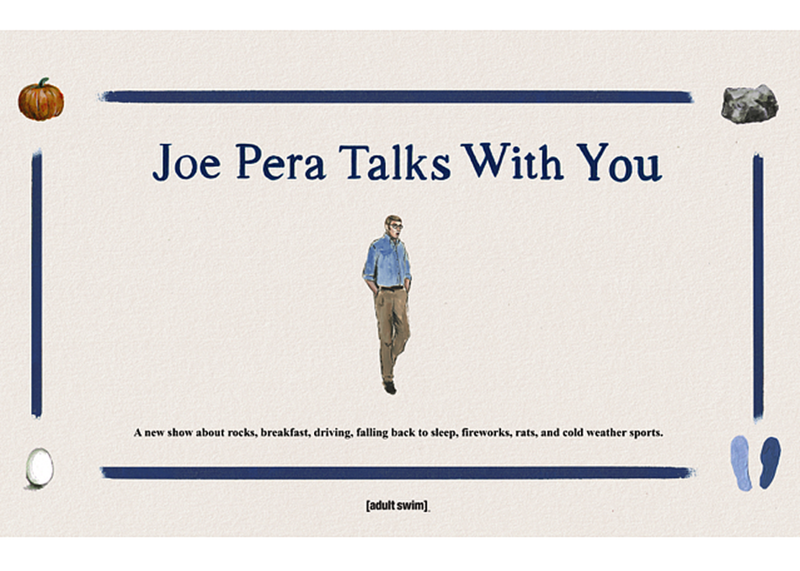 On Friday, Joe Pera premiered three episodes of his upcoming Adult Swim show Joe Pera Talks With You, with support from the show’s writers and stars, Conner O’Malley and Jo Firestone. The show definitely isn’t for everyone – a person I sat next to left halfway through after saying it was “too weird” for her – but for those who appreciate Pera’s comforting yet eerily soft demeanor, it was just the right amount of uncanny to make for a heartwarming and hilarious viewing. The stand up was even weirder – O’Malley started with a joke about breaking up a fight between his two adopted Russian sons over a fleshlight – but vulgarity lost to absurdity throughout the night, with Firestone and Search Party star John Reynolds acting out the world’s most uncomfortable marketing roundtable. Many of the same faces cropped up on Jo Firestone’s showcase Saturday night, which featured Reynolds, Pera, and O’Malley as well as Matteo Lane, Jo’s Butterboy co-host Maeve Higgins, and Ian Abramson. On Saturday, Comedy Central’s Corporate brought their cast to Esther’s Follies for a night of stand up and an advance premiere of the show’s finale. The comedians on the whole matched the dark, sordid tone of the bleak TV show – Jake Weisman had perhaps my favorite joke of the entire festival, “I know I’m gaining weight because my belt doesn’t fit around my neck like it used to.” The show also featured sets from Matt Ingebretson, Aparna Nancherla, Baron Vaughn, and Adam Lustick. On Sunday, Nancherla returned to the stage for a SXSW edition of her weekly NYC stand up showcase Butterboy Comedy, which featured co-host Maeve Higgins along with Matteo Lane, Ian Abramson, Liza Treyger, and Roy Wood Jr. Treyger killed it with a set focused on a recent breakup and her thoughts on male friendship (“If you make eye contact three times you’re automatically a groomsman at the wedding). Lane’s hilarious observations on the homosexual undertones of hunting and his musings on reality TV also left a strong impression. Later on in the week, Brandon Wardell and friends brought their brand of humor, which can only be called “hypebeast millenial,” to Esther’s Follies as part of the Loud Village comedy showcase. Proving that perhaps ironic memes don’t translate to the stage, Brandon Wardell’s tired take on lazy homophobia as it relates to your “bros” landed with the younger male crowd much more than the rest of the audience. In general, SXSW Comedy brought a surprising amount of rising stars to its stages this year, all of which were well-received by Austin’s famously open-minded and experimental comedy audiences.